Slot Fruity is a site which combines the juiciest casino and slot games around. Launched in 2015 through the impressive Nektan platform, they offer a range of incredible bonuses and even the option to pay by phone bill; so of course we at Mobile Bingo Bonuses had to check them out! Accessing Slot Fruity is simple, you just grab your mobiles and log in. All you need is an Android or iPhone and you can enjoy some of the top slot games around, whether it’s on the bus or even when you’re on a lunch break. What adds to the excitement of Slot Fruity is the fact that they accept payments by phone bill or using your phone credit. If you’ve never heard of Boku then we recommend checking them out. You only need to provide the site with your mobile details and any funds will be added to your phone bill to be paid off at a later date. We’re sure you won’t be disappointed when you see what games they have to offer including casino, scratch cards and slots such as Tornado Farm Escape and Koi Princess. 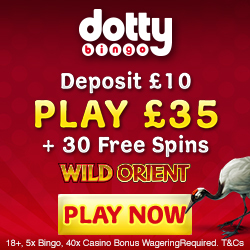 This can only get more exciting when we add in the fact that Slot fruity will give you £5 bonus upon registration. This is a welcome from the site and an ideal way to really test drive the games before parting with any of your own money. So for a minimum £10 on each occasion, you can enjoy £35 bonus or a grand total of £65. You’ll soon discover that Slot Fruity like to reward loyal players, as proven by their cash back bonus. Every Tuesday you could earn 10% cashback up to £100, so whether it’s a good or bad day you’re in for a win win. There’s also the bonus bank where for a minimum £10 deposit between 6pm and 9pm from Monday to Thursday, you’ll receive an extra 25% bonus up to £50 to top up your credit. If you’re a social media fan then check them out on Facebook, Twitter and Google+. Aswell as the amazing Boku, they accept credit and debit cards, U Kash and Skrill. 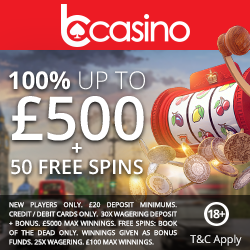 So take a bite out of this juicy site and claim your £5 bonus credit with Slot Fruity, then check out the games and enjoy!